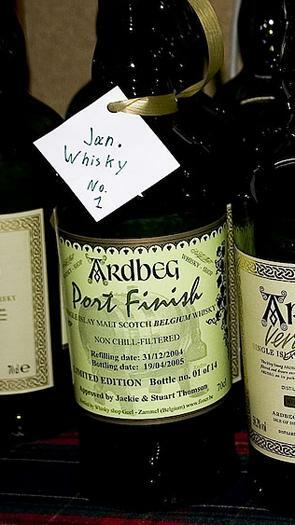 The Port Finished Ardbeg Very Young was en experiment by the folks at The Single Malt Whisky Shop - Belgium. 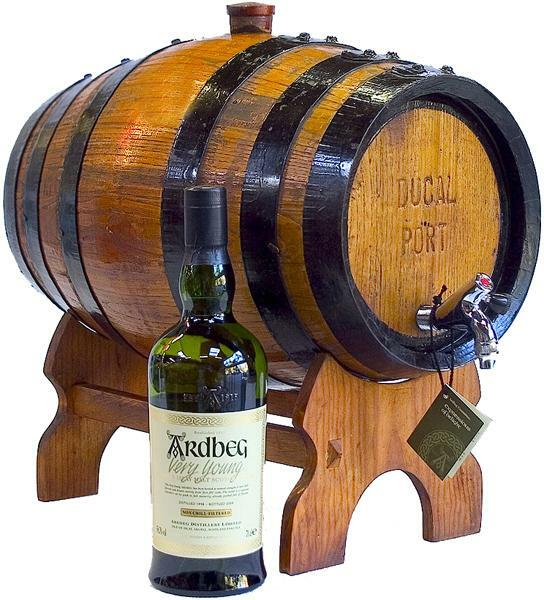 They filled an old port cask with 15 bottles of Ardbeg Very Young and left it to mature for 3 months before filling it back into the original bottles. It yielded just over 14 bottles, and here is a description of the process. 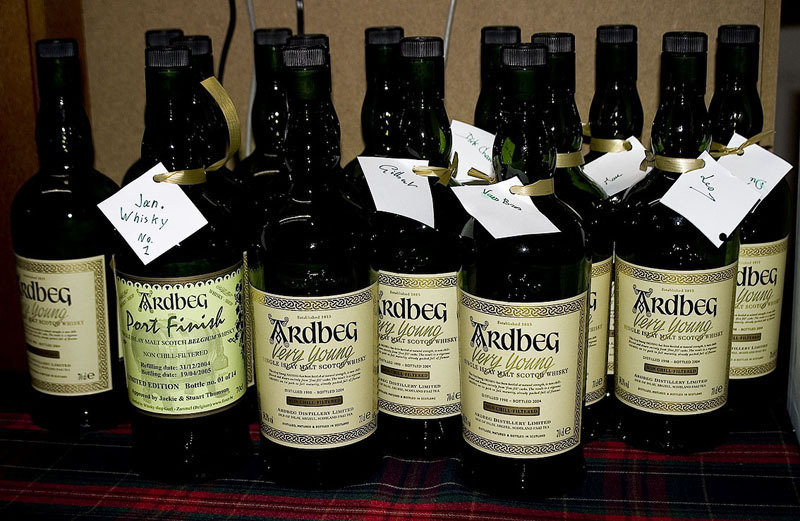 "On 31 December 2004, we had a little old Port cask filled with 15 bottles of Ardbeg Very Young. The Islay Single Malt Whisky was already 6 years old, but we decided to let it ripen or finish in this old Port cask. A full three months later, on 19 April 2005, we re-filled our bottles with the Ardbeg Very Young aged in the Port cask. Our whisky not only greatly changed color, but it had a more rounded flavor, more body and softer! From this very limited edition, only 14 bottles were produced, and of course it has long been SOLD OUT!" If anyone has ever tried this Port Finish, it would be great to hear your thoughts on our contact page.